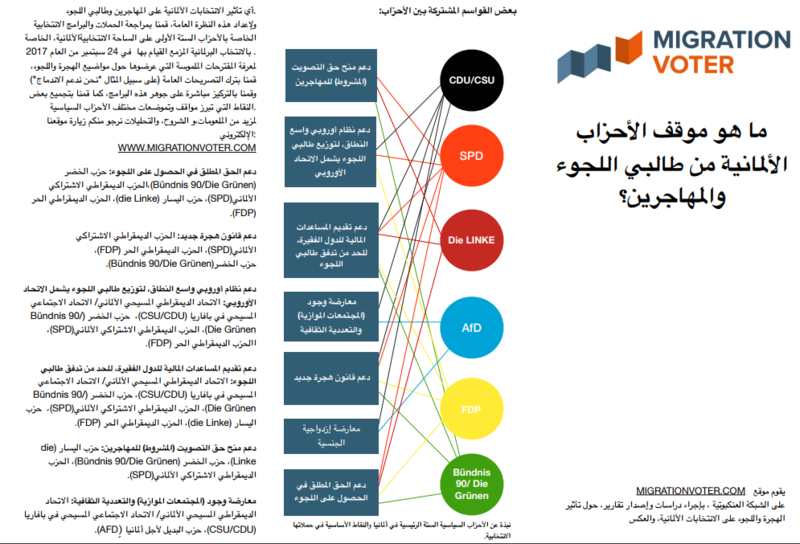 Our friends and partners over at Migration Voter created a short infographic for all of you swept up by election fever! 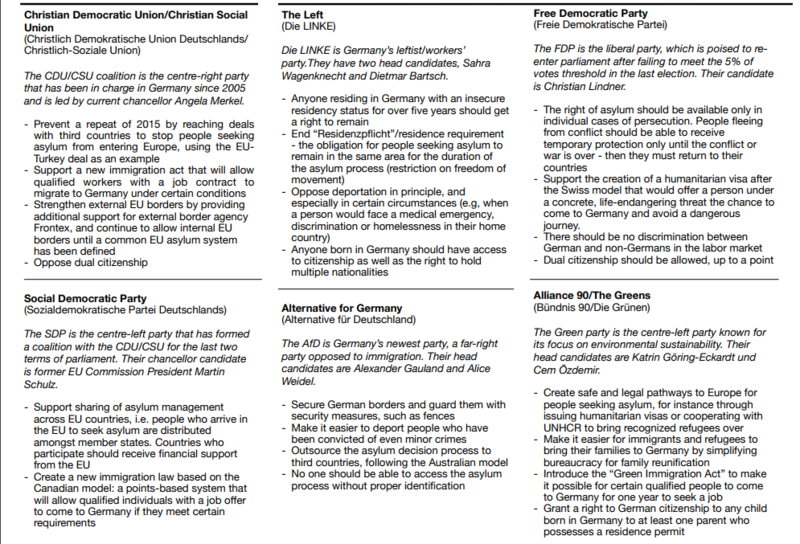 On 24th September, Germany will have its federal elections taking place. 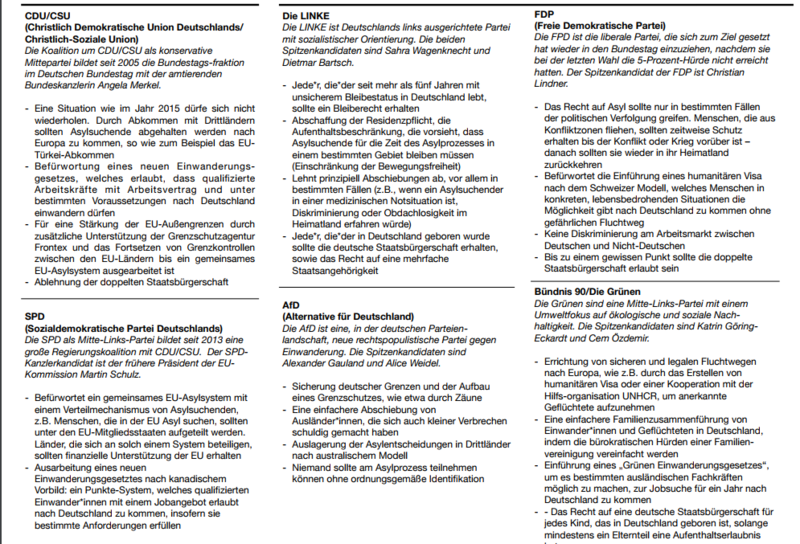 80 million are expected to vote – however, 8 million people who might have been living and working in Germany their whole lives aren’t allowed to. 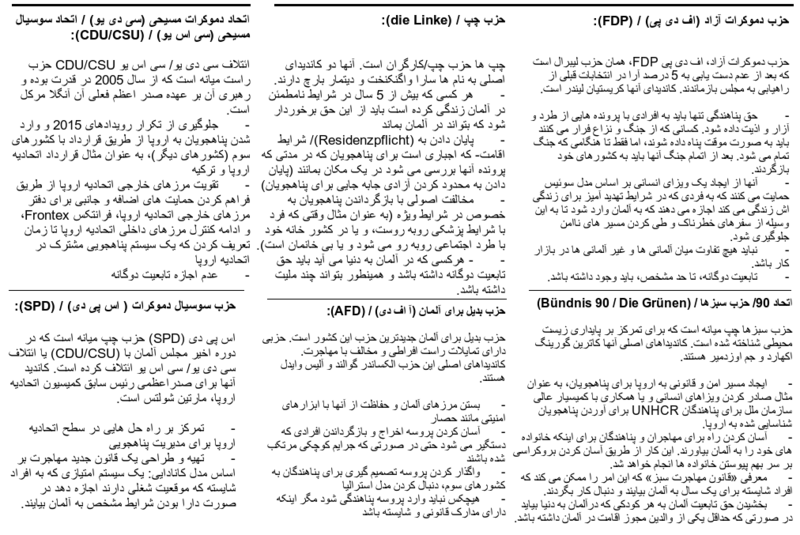 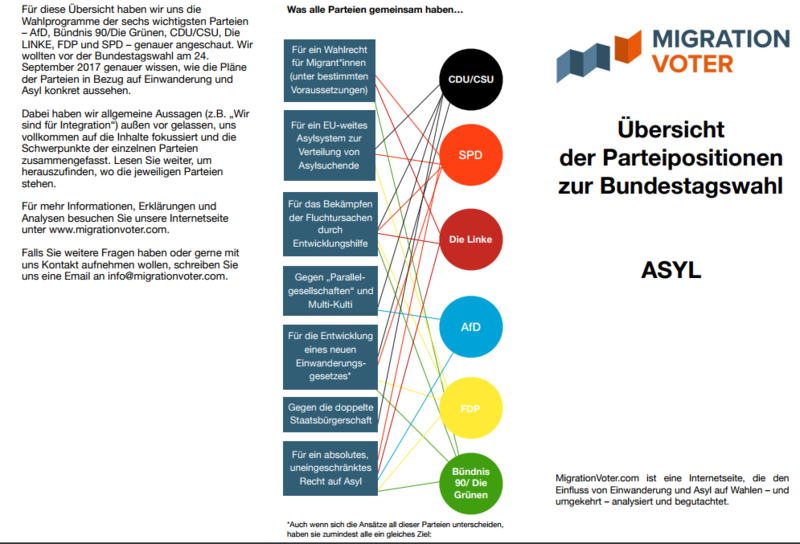 These infographics were created for them – they provide an overview of the campaign promises all (democratic) parties have made, including a page related specifically to their stances on topics of migration, refugees, integration, visas (basically, all of the decisions that affect them). 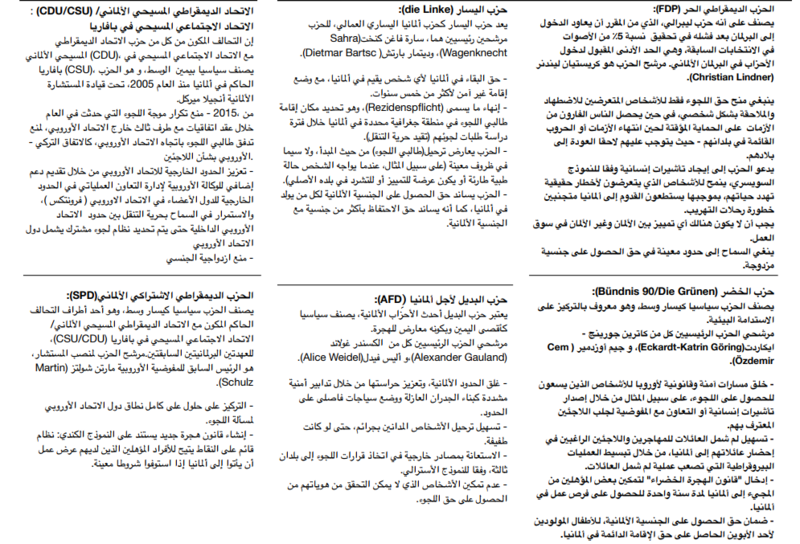 As you can see posted below, this infographic is available in English, German, Arabic and Turkish. 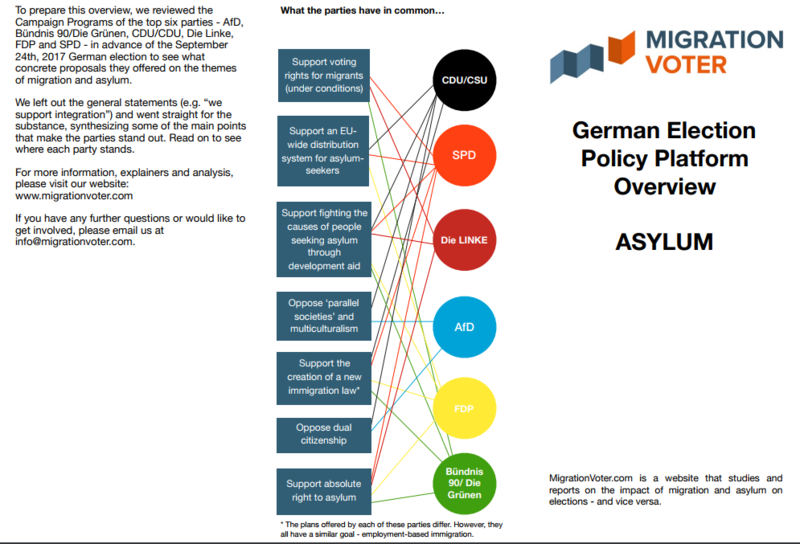 Cover photo source: Migration Voter.